Madeline King and Grace Pancik are best friends and the envy of Nantucket for their perfect marriages, their beautiful kids, their Sunday night double dates with their devoted husbands. But this summer, something's changed, and if there's anything Nantucket likes better than cocktails on the beach at sunset, it's a good rumor. 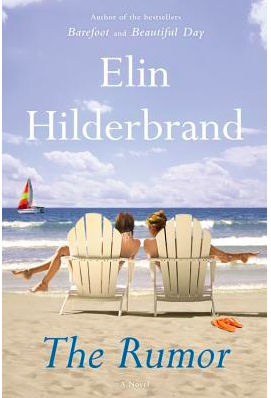 MY REVIEW: This is a perfect summer/beach read...romance, suspense, intrigue...it has everything to keep you wanting more and making it a fun and fast read. Loved all the different characters and how their lives were intertwined. I also loved how the author threw in chapters from the town "locals" view points and followed the rumors from the very beginning until the end. Really puts into perspective the idea that you need to take everything you hear with a grain of salt and know that there is ALWAYS two sides to every story. I recommend enjoying this book next to a pool, or beach, with a nice glass of wine! For single mom Shandi Pierce, life is a juggling act. She's finishing college, raising precocious three-year-old Natty, and keeping the peace between her eternally warring, long-divorced parents.Then she gets caught in the middle of a stickup at a gas station and falls instantly in love with William Ashe, when he steps between the armed robber and her son. 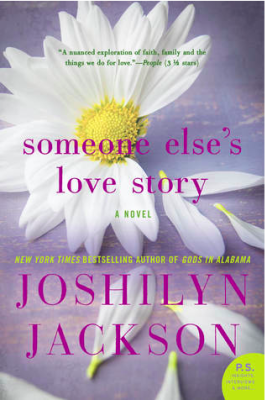 MY REVIEW: I usually really enjoy Joshilyn Jackson's books, however, this wasn't my favorite. It was a, somewhat, entertaining read and I found the storyline to be interesting with the hopes that it would pick up, but never did. I think what kept me from loving the book was that I never really connected with the characters and didn't feel an urgency to pick up the book and find out what happens next. It was good, but not her best and I'm not sure I would really recommend it. I would, however, recommend her other books... "Between, Georgia" and "Gods In Alabama"...very good reads! 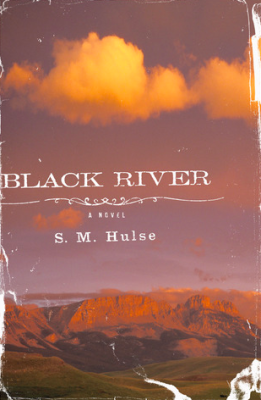 A tense Western and an assured debut, Black River tells the story of a man marked by a prison riot as he returns to the town--and the convict--who shaped him. How can a man who once embodied evil ever come to good? How can he pay for such crimes with anything but his life? As Wes considers his own choices and grieves for all he’s lost, he must decide what he believes and whether he can let Williams walk away. MY REVIEW: This was truly a beautifully written book and I am fascinated that such a young author could be so insightful about human emotions and relationships. It is a quick read and very touching story. I envisioned Clint Eastwood as Wes and I really look forward to reading her next book! Such a great book! Every day, three times a day, the students march in two straight lines, singing praises to Kim Jong-il and North Korea. It is a chilling scene, but gradually Suki Kim, too, learns the tune and, without noticing, begins to hum it. It is 2011, and all universities in North Korea have been shut down for an entire year, the students sent to construction fields—except for the 270 students at the all-male Pyongyang University of Science and Technology (PUST), a walled compound where portraits of Kim Il-sung and Kim Jong-il look on impassively from the walls of every room, and where Suki has accepted a job teaching English. Over the next six months, she will eat three meals a day with her young charges and struggle to teach them to write, all under the watchful eye of the regime. This story offers a moving and incalculably rare glimpse of life in the world's most unknowable country, and at the privileged young men she calls "soldiers and slaves." 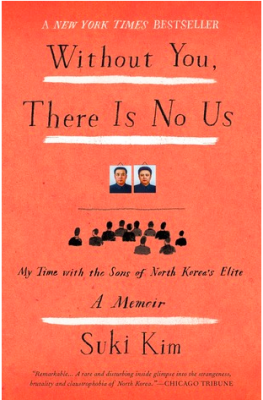 REVIEW: This was our Book Club pick for March and I found it to be a very interesting and informative insight into the life of a North Korean student. I realize this is just a small part of how this country lives, but I found it fascinating, and sad, that people can be brainwashed and forced to live the way ONE person has chosen to have a society live, think and believe and not to be able to ever escape it. I am so proud to be a United States citizen and have freedom! From a producer of Family Guy, a satirical look at a dysfunctional family complete with a stage mom, 9 year-old pageant queen, philandering husband, his girlfriend, and the crazy grandmother. MY REVIEW: I absolutely loved reading this book! It has been awhile since I have had a book that I couldn't wait to get to and this was one of them! I LOVED all the characters and I laughed through the book, but was also caught wondering what was going to happen next. Loved, loved, loved this story and will recommend it to everyone who wants a fun read! I will miss these characters and hope that Kirker is writing a sequel....hint, hint. 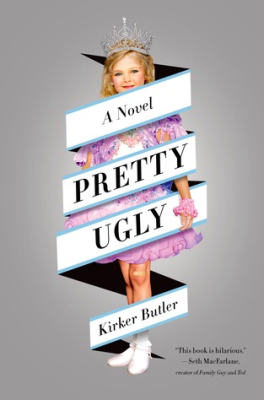 Thank you, Kirker, for filling 2 days of my life with laughter, smiles and suspense! 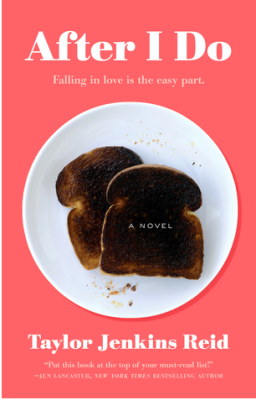 From the author of Forever, Interrupted—hailed by Sarah Jio as "moving, gorgeous, and at times heart-wrenching"—comes a breathtaking new novel about modern marriage, the depth of family ties, and the year that one remarkable heroine spends exploring both. MY REVIEW: I was very excited to read this, however, I was greatly disappointed. First, I found the development characters lacking and forced at times. I was expecting the story to be more "two sided" so that we could get the perspective from both husband and wife. The few emails that were written between the two helped, somewhat, but it wasn't enough for me. I also found the ending to be predictable, even with the few things that were thrown in to "distract" us and it felt like the ending was rushed. On the positive side, I think Taylor writes very well and seems to really understand relationships/emotions and I definitely plan to read another book written by her...fingers crossed it steps up a level for me! Lila Soto has a master’s degree that’s gathering dust, a work-obsessed husband, two kids, and lots of questions about how exactly she ended up here. 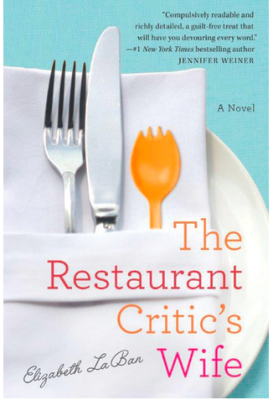 Lila’s husband, Sam, takes his job as a restaurant critic a little too seriously and as he becomes more and more fixated on keeping his identity secret, Lila begins to wonder if her own identity has completely disappeared—and what it will take to get it back. MY REVIEW: (Full Disclosure: I received an advance copy of this book from NetGalley in exchange for an unbiased review) I found the story itself to be a bit tedious and exhausting. For me, a good book is one that I feel like I know and understand the characters and I can't wait to get back to them and see what happens next. Sadly, with this story, I only felt frustration with Sam & Lila's relationship, not only with one another, but with everyone around them. Also, I am a stay-at-home mom of three, and I was actually insulted at times with how belittling Lila made being "only a mom" sound, so this was a huge turnoff for me. I know, in the end, Lila comes around...a little bit...but I just didn't connect with any of the characters in a positive way. I really wanted to love this book, but instead I finished it feeling like I had spent a week with some very obnoxious people.